If only to personally jumpstart the World AIDS Day and its succeeding activities, a nurse and sitting legislator in Bohol, volunteers to have a Human Immune deficiency Virus (HIV) testing December 1, at the Panda Tea Garden and Suites. Waiving her right provided by the Philippine AIDS Control and Prevention Act, Third District Board Member Jade Acapulco Bautista, formerly US based nurse by and now a legislator at the Sangguniang Panlalawigan in Bohol subjected herself to an HIV testing and in fact, performed for herself the capillary pricking necessary to extract sufficient blood samples for the test to determine reactivity. Intending to help but still constrained to a task she is demanded to do as a legislator, BM Bautista said she is still open to suggestions in legislating measures to reverse the spread of HIV, a deadly virus, especially in Bohol. Herself the SP Committee chair on Health and Public Sanitation, BM Dano who sits as a model for HIV testing as a medical professional, allowed herself to the test, if only to show there is nothing to fear, in fact, get a reassurance that one can keep an HIV-free status from then on. “It is more reassuring that one can get an additional sense of responsibility especially in advocating for more protection and in maintaining the already attained HIV status,” another Department of Health nurse Nickson Felix Epe said. Dano, who said Bohol’s [anti-HIV] campaign is doing very well, also admitted further that sustainability of the campaign can only be attained with everybody’s cooperation. “The Provincial Health Office is doing very well [as regards the campaign], but they can not do it without everybody’s cooperation,” she said. A United Nation’s study bared that the Philippines has the fastest growing HIV epidemic in Asia and the Pacific. Data in the study showed that in 2010, there were an estimated 16,000 HIV cases in the Philippines. By 2017, the cases have been estimated threefold to 67,000 and by the same estimates, by 2022, authorities fear the cases can reach 142,000, “if we remain to have the same level of response,” nurse Epe stressed. In the Philippines too, 94% of those who are newly diagnosed for HIV are male, and more than half of these males are aged between 25-34 while some 28% are of the 14-24 age bracket at the time of testing. But this does not exclude females too. From January to September in 2018 alone, there were 467 newly diagnosed cases and of the country’s female cases reported in the 15-24 age group skyrockets from 13% in 199 to 29% in 2018. Of these, sexual contact remains to be the predominant mode of transmission at 98%, DOH data shows. While the National Capital Region still keeps the most number of newly diagnosed as to residents they shared during the testing, Region 7 or Central Visayas ranks fourth owning 10% of the newly diagnosed cases. The problem with HIV is that the only cure is prevention, unlike other diseases where prevention is better than cure, stresses Epe. Over the staggering data and disheartening exponential increase in affected cases, health authorities have called for HIV testing. The more the virus has taken control of the body, the bigger is the chance that one can fall into the opportunistic infections that could hasten the development of Acquired Immune Deficiency Syndrome (AIDS), explains Bohol HIV coordinator Mila Israel. Over this, health authorities have batted on Information Education and Communication as something any anti HIV advocate can easily contribute. This Monday, December 3, Bohol is holding an HIV and AIDS Summit at the Reynas The Haven and Gardens. The summit aims to expound on HIV in the context of the Community, Health Care, the Government and the School. TAGBILARAN CITY, Bohol, November 2 (PIA)—Still reeling from dengue which has parents worried, another risk may just be already in Bohol with a potential to wreak havoc to communities. That means a person infected with the virus can pass the disease to at least 20 persons who happen to personally touch the patient, or are within the vicinity when the carrier coughs, or sneezes, according to Department ofHealth Center for Health Development (DOH CHD). A disease with no treatment, or until it leaves, medical practitioners can only manage the complications brought about by the disease or it becomes fatal,according to Dr. Jeanette Pauline Arellano-Cortes. Although preventable by immunization, measles, with its complication is still the leading cause of death among preventable diseases, Dr. Cortes added. In 2017, DOH authorities declared a measles outbreak in Zamboanga, and another outbreak was noted in Luzo, according to Ruff Vincent Valdevieso. With proximity to Zamboanga, DOH-7 Regional Epidemiology and Surveillance Unit sounded the alarm over what they perceive as danger signs of possible entry of the virus in the Visayas. A regular boat trip services Dumaguete and Zamboanga. Of all the cases, 15% or 45 patients are from Dumaguete, 28 or 9.1% from Bacong Negros Oriental, 5.9 % or 17 cases from Sibulan, still in Negros Oriental and in LarenaSiquijor where 5.5% of the cases were monitored, RESU7 said. In 2016, the same period saw 45 cases and no deaths, that is why this year, health authorities say this year’s cases is 582% higher, Valdeviesa who is a nurse, reported. Dr. Cortes explained that the Measles Containing Vaccines (MVC), a vaccine that has been used since 1970s would be used in the month-long activity. TAGBILARAN CITY, Abril 11 (PIA)–Gipahinumdoman sa Department of Health (DOH) ang publiko batok sa mga sakit nga kasagarang makuha matag panahon sa ting-init, human pormal nang gi-deklarar sa Philippine Atmospheric, Geophysical and Astronomical Services Administration (PAGASA) ang panahon sa ting-init sa nasod. Sa abiso sa DOH, miingon kini nga usa sa mga sakit nga angay likayan karon nga inanay nga pag-init sa panahon mao ang heat stroke nga mahimong makamatay. Aron malikayan ang heat stroke, giingong likayan ang pagbuwad sa init gikan alas 10:00 sa buntag hangdtod alas 3:00 sa hapon. Apan kun dili malikayan ang paggawas sa balay, giingong mas makaayo nga mogamit og ‘protective gears’ sama sa payong ug kalo ug batasanon usab ang pagdala ug pag-inom og daghang tubig aron malikayan ang dehydration nga mahimong maule sa heat stroke. Gawas sa heat stroke, angay usab nga molikay sa sore eyes o piskat nga dala sa bakterya o virus nga daling makatakod kun ang mata mapahiran og kamot o gamit nga may bakterya o virus. Pasidaan pa sa DOH, kun pasagdan ang sore eyes o piskat, mahimo kining maule sa pagkabuta. Aron malikayan kining sakit, angay batasanon ang kanunay nga paghugas sa kamot ug gitambagan ang publiko nga magpakonsulta una sa doktor sa dili pa mogamit og mga eye drops. Dali ra usab magka-sunburn kun panahon sa ting-init mao nga dili angay nga magbuwad sa init kun kanus-a taas ang lebel sa makadaot nga UVA ug UVB rays. Mahimong mogamit og sunblock nga dili mo-ubos sa SPF-30, 30 minutos sa dili pa mogawas ug magbutang na usab og sunblock human sa duha ka oras ug dili kalimtang pahiran ang dalunggan, tangkugo ug tiil. Dali ra usab makuha ang sip-on ug ubo matag panahon sa ting-init tungod sa init ug pabag-o bag-ong panahon. Gitambagan usab ang publiko nga susihon ang mga kaonon ug imnon tungod kay ang pagkaon ug ilimnon nga kontaminado maoy hinungdan sa pagkalibanga ug pagsuka. Matud pa nga angay mag-andam og magbalon og Oral Rehydration Solution (ORS) aron imnon kun magkalibanga. Batasanon usab nga moadto sa pinakaduol nga Health Centers aron mokunsulta ug malikayan ang ‘severe dehydration’. Ang sakit sa panit sama sa boils o pigsa kasagarang makuha sa mga lugar diin may kakulang sa tubig, huot nga lugar ug dili regular nga maligo ang mga tawo sama sa mga prisohan. Mahimo usab makuha ang mga sakit sa panit sa mga ligoanan o swimming pools nga hugaw mao nga batasanon unang maghunawnaw sa dili pa og human maligo sa mga swimming pools. Samtang gitambagan sa DOH ang publiko nga kun mapaakan og iro, hugasan dayon ug sabonan ang samad ug moadto sa mga animal bite centers aron mahatagan og bakuna batok sa rabies. (ecb/PIA7-Bohol). TAGBILARAN CITY, August 25, 2017 (PIA) –There is another strong reason why hunting wildlife as defined by the Conservation and Protection of Wildlife Resources and their Habitats Act is bad. The onset of an avian influenza (bird flu) outbreak in Pampanga and in Jaen in Nueva Ecija makes it possible for migratory birds on a pit stop in the Candaba marshes of Pampanga can be potential carriers of the deadly virus that can mutate and affect humans, health professionals said. Wildlife conservationists see Candaba as an important staging and wintering site of migratory birds, it being part of the East Asia Pacific Migratory Flyway. Candaba, a popular nesting, wintering and feeding site for birds escaping from the harsh winters in the north, is also home to local birds and ducks, well within the outbreak affected sites. As the Department of Environment and Natural Resources (DENR) totally protects 47 of these sites, 23 sites are partially protected and another 47 sites are not protected, according to the government environment agency. Over that, several areas in Bohol which hosts migrating birds, ducks and mallards are not in the list of DENR protection. As these migrating birds including teals make their stops in 117 more important bird sites in country while carrying the virus, in Bohol, some of these stop by Malinao Dam in Pilar and mingle with the native wild ducks and mallards, possibly passing on the virus, warned Bohol provincial veterinarian (Pvet) Dr. Stella Marie Lapiz. Wild duck and wild birds hunting hobbyists remain to be a top concern for veterinarians, because according to Dr. Lapiz, getting exposed to these infected birds and their body fluids is dangerous. Although avian flu viruses do not normally infect humans, sporadic human infections with avian flu viruses have occurred, Center for Disease Control and Prevention continues to warn. Birds sharing food, water and roosting spots could pass the disease to each other and to people who come in contact with them, according to the Department of Agriculture (DA) and the Bureau of Animal Industry (BAI). In fact, in the outbreak, DA-BAI has asked people to get involved in monitoring the spread of the virus. Communities can help by reporting illegal transport of infected products and monitoring areas where migratory birds can be stopping and mingling with native flocks. According to DA BAI, for animal movement concerns, people can report to 09189171407 while for potential disease cases reporting, BAI suggests informing 09208543119 (Smart) or 09951329339 (Globe). The DA has suspended the transport of fowls and products from Luzon to other parts of the country, following a transport ban issued a week ago. The lifting of the ban however does not include products from the affected areas. In Bohol, the PVet has implemented quarantine checkpoints to buses and boats from Luzon. Footbaths, chemical spraying of vehicle tires and inspections of animal transport permits, veterinary certificates have been implemented, according to Bohol veterinary quarantine officer Maria Eleonor Abisado. This as the government continues to issue warnings against eating raw poultry meat or eggs and thoroughly cooking them, to make sure the disease contamination is stopped. Bird flu virus dies at 70 degrees and its exposure to the sun kills it, Dr. Lapiz added. In support of Executive Order No. 26 issued by Pres. Rodrigo R. Duterte, Gov. Edgar M. Chatto issued a Memorandum to all Mayors in the Province of Bohol enjoining them to observe the smoking ban in their respective LGUs. EO No. 26 entitled “Providing for the establishment of smoke-free environments in public and enclosed spaces. However, Designated Smoking Areas (DSA) are barred in schools, hospitals, clinics, food preparation areas, and locations in which fire hazards are present. The establishment of the DSA shall comply with the standards set forth under the said Order. Further, the EO also prohibits the placing of tobacco advertisements and other promotional materials within 100 meters from the perimeter of a school, public playground, and other facilities frequented by minors. On the other hand, Local government units particularly the City/Municipal Health Officer in coordination with the Department of Health are enjoined to develop, promote and implement their respective Local Smoking Cessation Programs consistent with the National Cessation Programs established pursuant to RA 9211. Moreover, all cities and municipalities are enjoined to form a Local Smoke Free Task Force to help carry out the provisions of the Order. Those who are found violating the EO shall be punished in accordance with the applicable penalties provided under Sec 32 of Republic Act 9211 and other applicable laws. 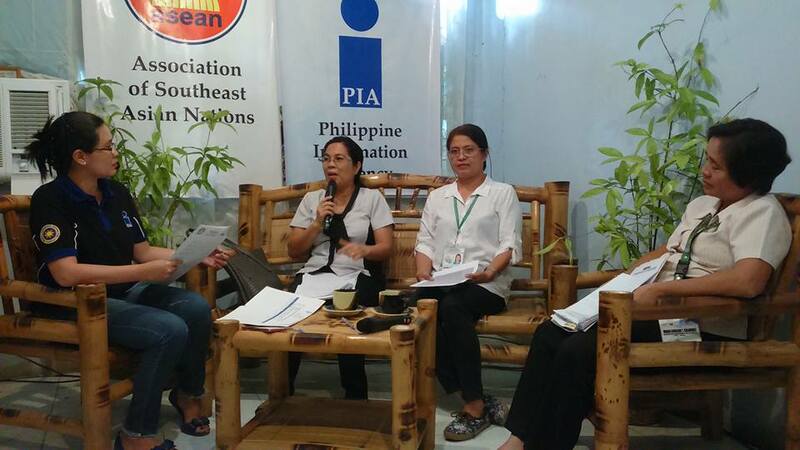 INABANGA and Buenavista towns in northern Bohol stand to have their ports improved this year. This after Rep. Erico Aristotle Aumentado (Bohol, 2nd District) inserted funds for the purpose in the 2017 General Appropriations Act (GAA). Aumentado said a new and bigger P50-million port will be built for Inabanga in barangay Uog. This will replace the existing one which is behind the public market in barangay Tungod. The seawater off Uog is deeper. He said this augurs well for larger pump boats and motorized bancas. This will make regular the trips to Cebu and back. Many residents and store-owners buy provisions and stocks from Cebu rather than go on land trips to the capital Tagbilaran City. The solon, however, vowed to secure additional funds for this port when he returns to Manila, as this is a new construction, not just an improvement. On the other hand, also in the GAA is P40 million for the improvement of the Buenavista fishport. Of the three congressional districts in Bohol, the 2nd District has the most islands and islets. This means islanders travel a lot by sea to buy from the mainland or from Cebu, their needs at home or in school, or to bring patients to hospitals. Aumentado said the improved ports will also improve travelling conditions for the islanders and their cargoes. Meanwhile, the medical team of the Faces of Tomorrow arrived yesterday morning for a week-long surgical mission to correct cleft lips and cleft palates as well as perform general dentistry. 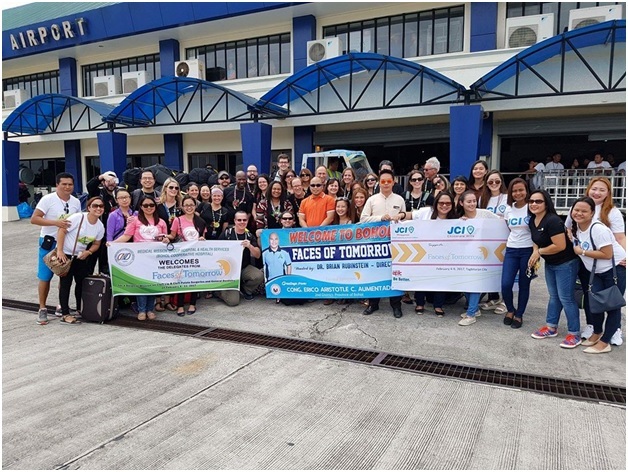 Aumentado led the welcoming delegation at the Tagbilaran City Airport to meet the team headed by its director, Dr. Brian Rubinstein. At 10:30 a.m. today, the team will start screening the shortlisted patients for operation on Feb. 6-7 for the first batch and Feb. 9-10 for the second batch. Feb. 8 will be for a break/rest day, to be capped with a dinner treat courtesy of the solon. Feb. 11 is set for the recognition of the surgical team that will be departing from this city in the afternoon of Feb. 12. The operations – the second surgical mission in Bohol by the Faces of Tomorrow, in cooperation with the Abounding with Love Foundation – will be performed at the Medical Mission Group Hospital and Health Services or the Bohol Cooperative Hospital in Dampas District, this city.